Ordinarily I wouldn’t be much concerned about the closing of chain restaurants but this story caught my eye because of the clueless reasoning behind it. Applebee’s announced this month that more than 130 of its restaurants will close by the end of the year. The casual dining chain rebranded itself in the past few years as a modern bar and grill. Applebee’s executive John Cywinski recently told investors that the company had hoped the effort would attract a new kind of customer. The chain aimed to lure “a more youthful and affluent demographic with a more independent or even sophisticated dining mindset, including a clear pendulum swing towards millennials,” he said. Applebee’s wanted to lure millennials with dishes like barbecue shrimp in a sriracha-lime sauce; chicken wonton tacos; and a pork, ham and bacon sandwich. But that triple pork bonanza — and the rest of the company’s makeover — didn’t seem to catch on with customers. 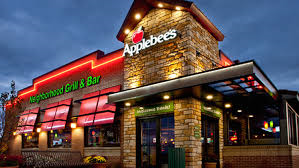 Sales at Applebee’s dropped more than 6 percent from last year. So young people with an “independent” mind set who are also “sophisticated” about dining are going to frequent a chain restaurant because chain restaurants just scream “independence” and “sophistication”. Because, of course, anyone who is independent and sophisticated immediately salivates when sriracha or pork-3-ways appears on the menu. The intellectual standards for CEO’s must be dropping. People who are independent and sophisticated will avoid chain restaurants because chain restaurants by their very nature are homogeneous and cater to conventional tastes. It doesn’t help that Applebee’s was latching onto trends that are at least a decade old. I “sympathize” with the plight of chain restaurants who want to capitalize on the food revolution. You can’t package and market authenticity and difference because, once packaged and marketed, it’s no longer authentic or different. I suppose they have to try to stay relevant in order to mollify shareholders, but it’s a losing proposition. Which is why I argued in American Foodie that the food revolution might actually survive attempts to co-opt it. Intellectual standards have been dropping for decades! I totally agree! Great article combined with quippy humor. Looking forward to reading more! Thanks Johanna. It was a pleasure meeting you yesterday. I wholeheartedly embrace the spirit of your criticism regarding Applebee’s. Corporate America’s defense of the indefensible, as Orwell put it, includes making non-sense meaningful via marketing forces and various forms of indoctrination. For level-headed, rational souls, slogans like the “King of Beers” is laughable, not to mention a grotesque misuse of language. Budweiser is a thin-tasting symbol of corporate hegemony. One could say the same about Big Mac. Applebee’s is part of this same “food-industrial” complex, which uses language to deceive, misinform and manipulate consumers. You are exactly right–anyone who is genuinely “independent” and “sophisticated” will necessarily avoid Applebee’s like the plague. This comes as no surprise. The real challenge is dealing with the “dependent” and “unsophisticated”. Culinary philistinism is America’s trademark and does not seem threatened by the so-called Food Revolution. 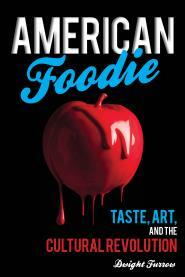 “Culinary philistinism is America’s trademark and does not seem threatened by the so-called Food Revolution”. Applebee’s experience suggests that America’s culinary philistinism is being eroded. Witness also the remarkable changes in supermarkets over the past 10 years. Much more fresh produce and specialty items available all across the country.